You can find us on social media as ‘watfordpodcast’ and we love to hear your views on Watford FC. Be honest. 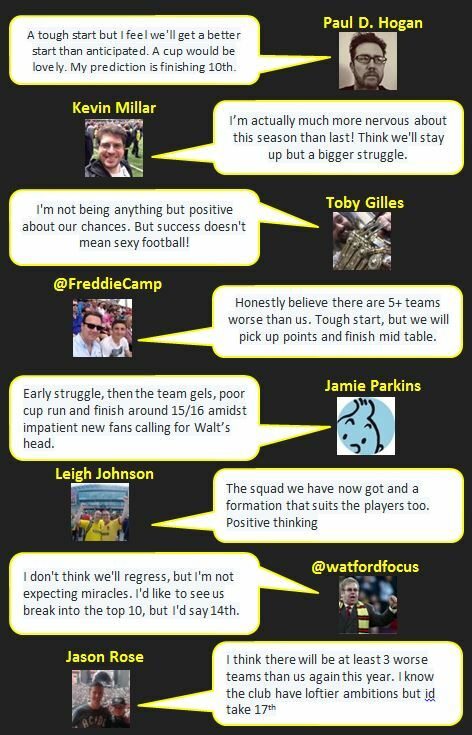 What’s your gut feeling about this season for #watfordfc? You guys shared a wide range of hopes and dreads, and here are a few of our favourite responses. As always, thanks for getting involved.